Best Chinese Knives: New Knives on AliExpress - Mini CH Knives 3504, UK Legal and more! New Knives on AliExpress - Mini CH Knives 3504, UK Legal and more! So a new wave of knives has hit AliExpress and I would like to present you some of my picks. BTW - I have decided to put a sticky post right under my social accounts post, where I will publish new knives that will appear on the platforms, so please stay tuned and follow the blog for updates. This version has some differences over the previous one. First of all the skull was replaced by horizontal lines. The steel has also been changed to AUS-8. It will come in 3 anodization options. The Chinese makers have suddenly started to make more and more friction folders. One of those is a new Ti Cleaver, which has that small-but-overbuilt style. Pretty cool unique (?) design, that can be specifically practical in places where locking knives are prohibited. EDIT: Turns out it is a clone after all, the originals are made by @justin_silvers on IG, check out his work. The only thing copied here is the Spyderco's round hole, the knives has no markings and of course no lock. What it does however have is 2 blade styles and 2 wood color choices. This knife is interesting, because the Chinese have made it a lot bigger than the genuine model (3.75'/95mm blade). I don't know if it was intentional, but this is a good thing IMO, because the genuine model is a bit too small to my taste. 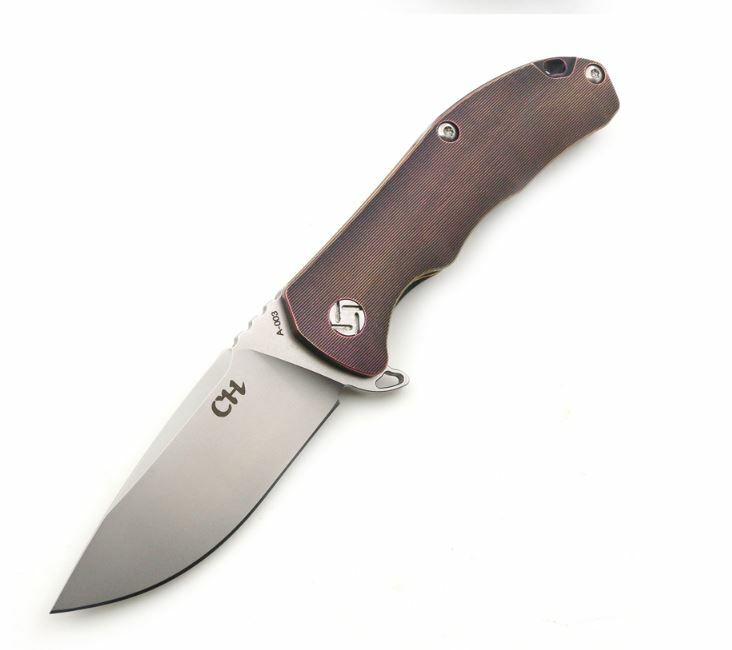 This clone has been around for a while in it's ti framelock variant (made by CH knives), but now LDT have stepped up and made a G10 linerlock version of the same knife, this time with 9Cr18MoV blade. Those friction folders are exactly what I need in my life! Thanks for this update! Yeah, I needed them too. I'm waiting for some reviews of the Zieba front flipper in G10. Black or green G10 are sooo boring choices, but the Ti version is a bit expensive for me atm. Why not make a yellow version, maybe anodized aluminum with an inlaid liner lock spring, I'd like that. Or any other color as long as it's not black or mil-green. If this version will be successful, we might see more versions in the future. I need some information on a knife. Could you email me? I need to send you the pictures. Looks like a TwoJ knife only with blue anodized scales and leather lanyard.